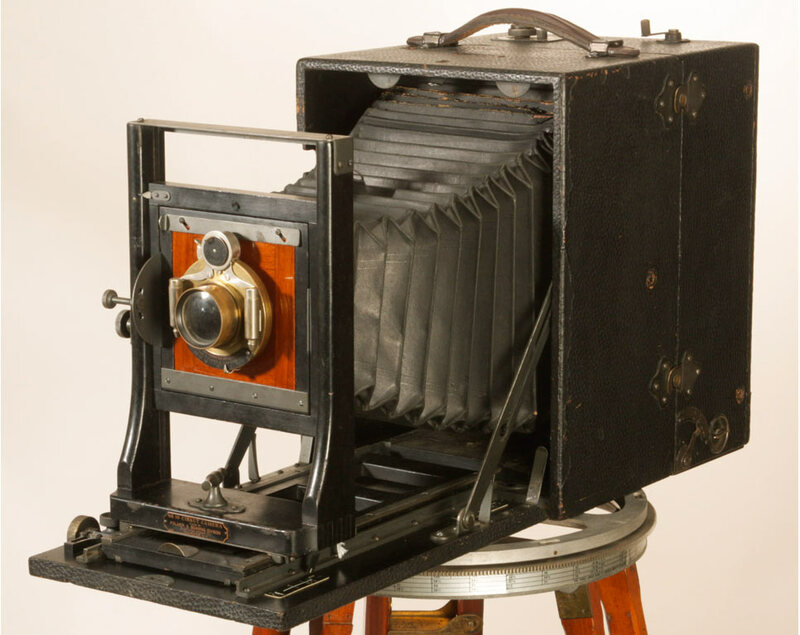 This important-looking device is a Cirkut Camera made in the first half of the 20th century by the Folmer & Schwing company. Cirkut cameras have a special place in the history because they rotated on the tripod and took a panorama of up to 360˚. Inside was a wind-up motor that turned the camera on its axis while pulling the film past a slit. There are currently two Cirkut cameras on ebay. 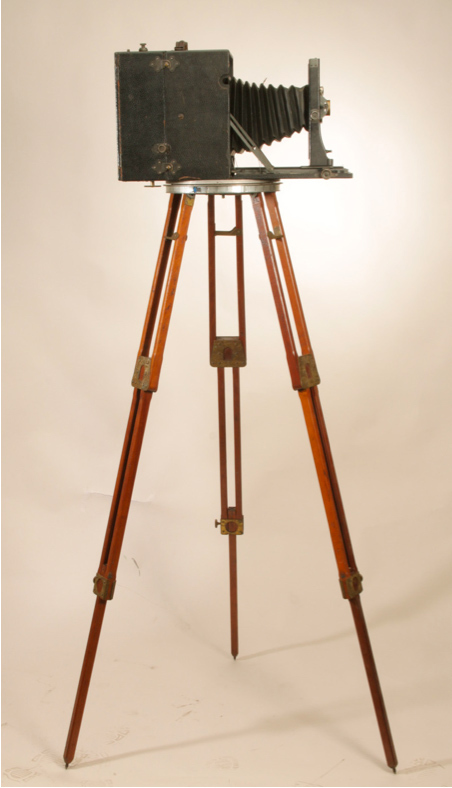 The camera stands six feet tall on the original mahogany and brass tripod. The film came in long rolls of sheet film, like 10×8 inch film but several feet long. That’s a lot of film. No enlarger could blow up a two metre long negative so they had to be contact-printed, hence the large film format. you can still get that film by special order from Ilford, so the cameras are viable even today. EO Goldbeck is probably the best known user of the Cirkut. He had a long and successful career as a commercial photographer in Texas. This is the New York Yankees when they played in San Antonio in 1922; that huge man in the middle is Babe Ruth. This video demonstration by Richard Malogorski shows you how it all works.